Once in a lifetime investment flip opportunity in the highly desired Historic Fletcher Place! Settled right in the middle of Indy's downtown "Urbania" this little gem has it all. Great location with renowned restaurants, bars, entertainment venues, and quick and easy access to main freeways. 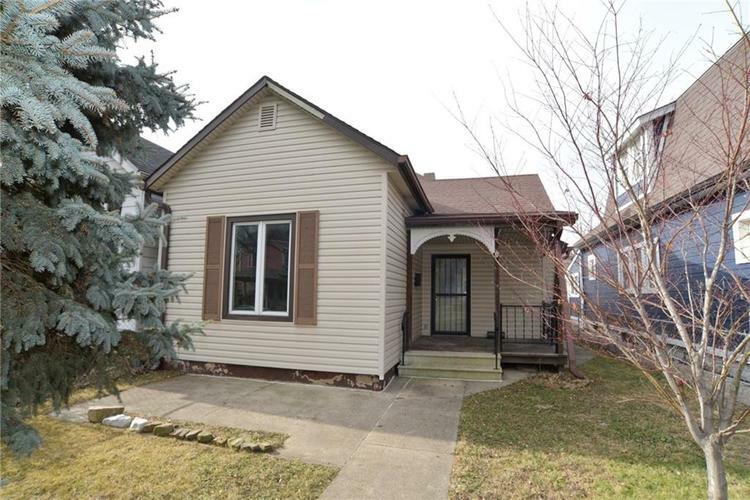 This historic bungalow features 2BR/1BA, finished attic, large living area, unfinished basement and plenty of parking space in back. A complete remodel is needed but structure is sound. Come see if you have what it takes to turn this little home into a masterpiece the neighbors will envy! Directions:From East St and McCarty St., head E on McCarty then take a right onto Greer St., home will be on your right.